Catba Island Hotel i Cat Ba Island, Vietnam: Reservér nu! This property is a 8-minute walk from the beach. 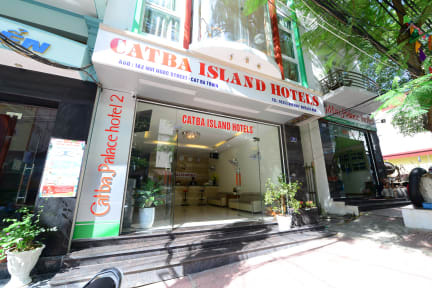 Situated on beautiful Cat Ba Island, Catba Island Hotel sits along Lan Ha Bay and is just a 10-minute walk from Cat Ba Market and steps from the ferry terminal. 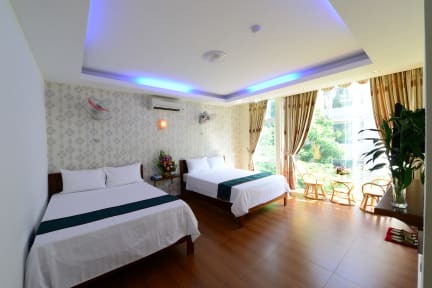 Rooms offer window with views of City or mountain.Modern rooms are fitted with a flat-screen TV offering cable channels. A minibar and safety deposit box are provided. A bathrobe, slippers and toiletries are included.